We are specialists in therapeutic massage, sports massage, muscle massage and relaxing massage in Pontevedra. 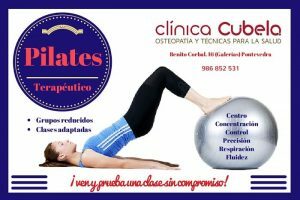 If you feel tired, or have suffered a sports injury, you have back pain, or muscle fatigue in the legs, and do not know where to receive a massage in Pontevedra, our clinic is the specialist center of physioterapy and osteopathy in pontevedra. We are in the center of the city, very close to all the hotels. The work schedule in the center to receive a massage in Pontevedra is every day of morning and afternoon. If you are doing the Camino de Santiago de Compostela and you need a physioterapist in Pontevedra, we have a special massage for you. A massage to relieve for your tired legs and back pain. Where can I get a massage in Pontevedra?